My name is Treena Wynes and I would define myself as a communicator. I am also a mother, wife, Registered Social Worker, co-founder of Ignite the Life Suicide Prevention Conference, award-winning published author, radio show host (Life Happens. Let’s Talk) and motivational speaker. People ask me ‘how do you do it all?’ My answer is I sleep well, eat healthy and play often but most of all I check in with my emotional self on a regular basis. I also put effort into focusing my attention and energy into things that are working for me and not against me. My hope with my projects is to create awareness and generate discussion around the way our thoughts, moods, and feelings have an intense impact on our lives. We have the power within ourselves to turn things around by investigating the reasons behind the recycling of our destructive thoughts. It is easy to be distracted and avoid what is really going on inside us due to the constant stimulation and pleasures that are only a click of a button away. Our modern times make it so easy to stuff away our undesirable feelings. Our emotional health is the most neglected aspect of our being. When we don’t give it adequate care and nurturing, we operate at a deficit – feeling and contributing less than our best. We treat ourselves poorly (and possibly those close to us, too). We crave relief which comes in many instantly-gratifying forms but we are never truly fulfilled. Instead of examining the void we feel, we ignore it. Food is one of the ways we get immediate gratification or to remedy our stress. Consequences usually emerge from over-eating or regularly choosing foods lacking in nutritional value. I know what it is like to reach for food to cope; This coping strategy resulted in bulimia for many years. Although addicting foods may have hijacked my brain, there were also underlying issues that were bringing me back for more. 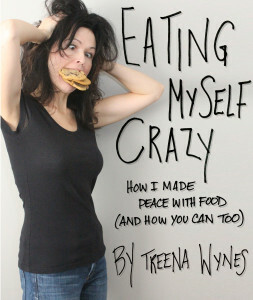 My personal story is in Eating Myself Crazy. Teens have it worse today than back in my day growing up. I have counselled and worked with teens for over 16 years who all have told me they feel like they are the only one struggling. Of course, this is not the case and I felt I needed to write Am I the Only One? 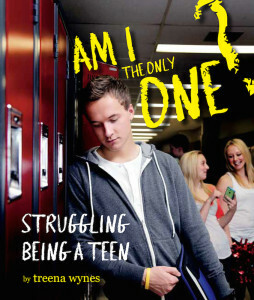 Struggling Being A Teen to ensure every teen out there they are not alone. Children rely on us to teach them coping skills but it seems adults aren’t making the time or lacking them as well. Our hectic and frantic lifestyles don’t do us any favours either. My blog is a mixture of information derived from research to my personal and professional experiences. 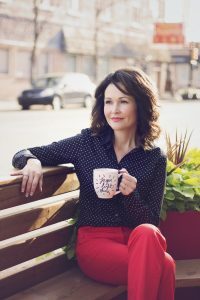 I hope you find something here that is valuable that you can apply to your life or give you a few ‘aha’ moments..
My radio show, Life Happens Let’s Talk, is every Monday morning. You can listen on Voice America Radio Network Empowerment Channel. Feel free to call in during the show! I also facilitate a parenting program called, Tending To Our Roots, which is a culturally-appropriate program for First Nations people with a First Nations lens.